MPPKVVCL Assistant Engineer Recruitment 2018: Madhya Pradesh Poorv Kshetra Vidyut Viataran Company Limited (MPPKVVC), Indore has released its notification for the recruitment of 27 Assistant Engineer and Programmer Trainee Vacancies. Interested candidates may apply with the stipulated time. 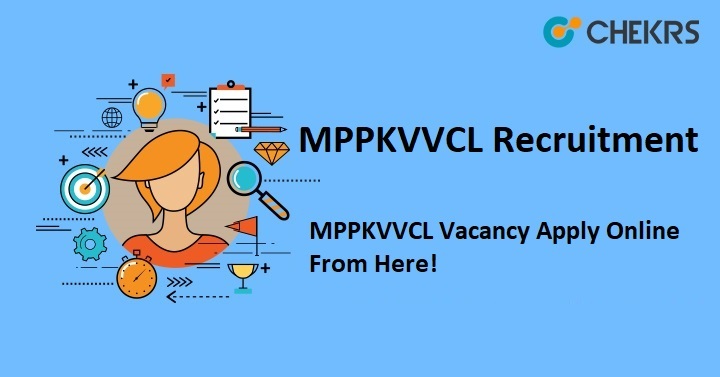 Here in this article you will all the relevant details about MPPKVVCL Programmer Trainee Application Form, important Exam Dates, selection Process, Eligibility Criteria, and how to apply are given below. Submit the application form, But before final submit read it at least once. Take a print-out of the application form. Remarks: Applicants who are applying in MPPKVVCL Assistant Engineer Recruitment 2018 can get the all details through our website www.jobs.chekrs.com. In the case of any query or review, your valuable comments are most welcome in the commenting section below.